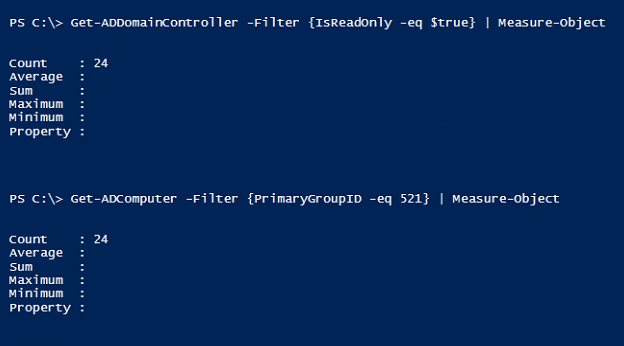 Tip: You can list the RODC (Read-Only Domain Controllers) with PowerShell. Note 1: The attribute PrimaryGroupID 521 is the RID for the “Read-only Domain Controllers” built-in group in Active Directory. Note 2 : Get-ADDomainController and Get-ADComputer are cmdlets from the ActiveDirectory module.